Marc Anderson and his two commando brothers Thomas and Tim are elite soldiers in the secretive German Commando Special Forces, the KSK. Their mission to save two German hostages taken captive by the Islamic State (ISIS) in Northern Iraq ends in disaster. They leave the military and start a new, combined career as security advisors. But now they are faced with one of their greatest challenges, again against ISIS. Will the band of brothers hold? Anmerkung: Das E-Book ist in allen Shops verfügbar; das gedruckte Buch nur bei Amazon als Print on Demand (link). 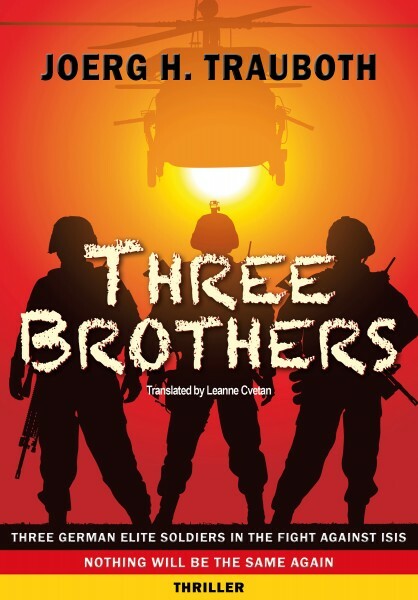 Weiterführende Links zu "Three Brothers"
Weitere Bücher von Trauboth, Jörg H.